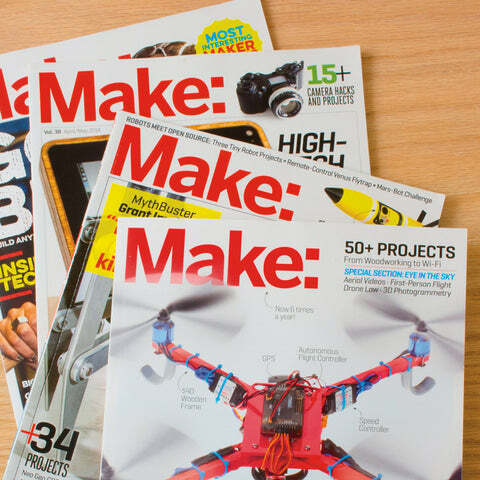 Mike Senese is the Executive Editor of Make: magazine. 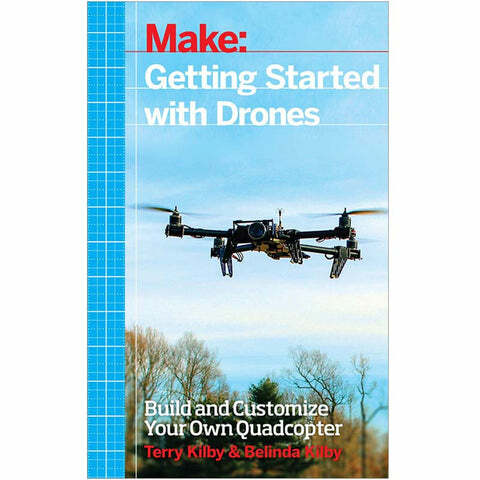 An avid Maker, Mike spends his spare time tinkering with remote-control aircraft, doing amateur woodworking, and attempting to cook the perfect pizza. Face it, if you’re into flying drones, you’re going to have to do a lot of repairs. This comprehensive set of precision bits will be a lifesaver. Compact and stable, the Phantom 3 Pro puts a high-quality camera package into a capable aerial platform. This relative affordability combined with astounding ease of use has helped Phantom quadcopters become the most commonly seen rigs in the air. Smart as a whip with its dual Linux processors, the latest quadcopter by 3D Robotics is designed to film the action with minimal input from the pilot. Its gimbal includes the first ever interface with the GoPro bus, allowing camera control from your transmitter (camera not included). Started as a full-scale 3D printable racing quadcopter, Hovership has since launched a variety of products geared towards the FPV enthusiast. The new 3DFLY is a micro racer perfect for quick trips around the house or park. Over the past few years, the introduction of LiPo batteries has helped aerial hobbyists get airborne with their high power-to-weight ratios. They’re a little bit more finicky to charge though. Avoid unwanted overcharging and keep your cells balanced with the TB-6B. While some drone makers are now incorporating their own cameras, the GoPro Hero4 Black remains the leader in action cameras, with the highest quality video in a compact, lightweight form. GoPro’s new Session camera ($300) is smaller, but the Hero remains the best rig for capturing your flight. Donning a pair of video goggles puts you in the cockpit like nothing else. This wireless headset offers a clear view with 720p resolution, and is expandable for a range of receiver modules and an optional head-tracker to control your camera’s view. Plus a small fan keeps your face cool and the screen fog-free during harrowing flights.